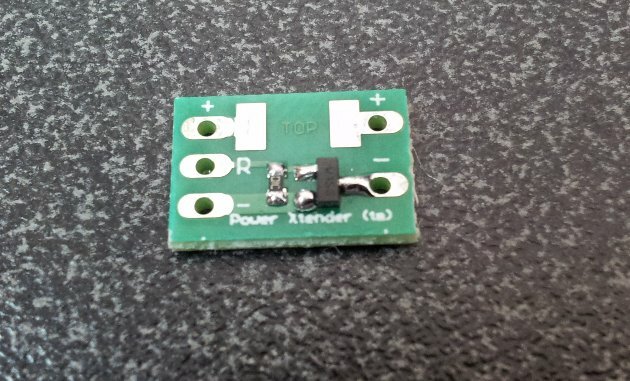 Miniature electronic circuit designed to drive/switch a high load (LED, rumbling motor, relay) when the low voltage/current output from our electronic boards does not allow it. Drives for instance a 3.6V LED from a Blaster Core™ board or a luxeon from the Flash on Clash™ output of Crystal Focus™. Refer to our electronic boards user's manual for further details about the use of that module. 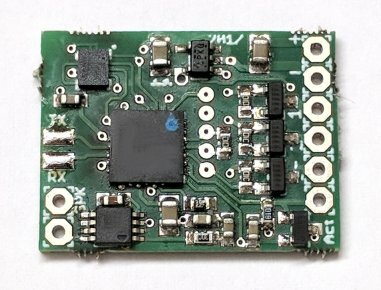 NEW : Now with embedded SMD 2512 resistor footprint. Saves space when using the Power Xtender™ to drive the Flash On Clash ™. Use with 2 watt 2512 thick carbon film resistor.